Bonsai West is a pioneer in developing indoor bonsai. 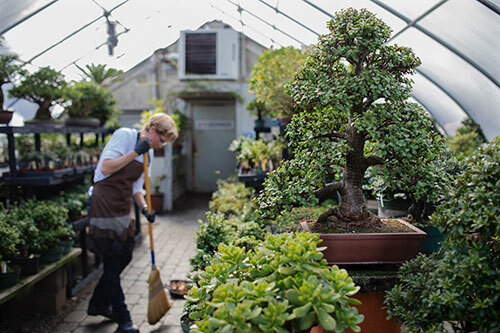 Traditionally, in Japan, bonsai are only grown outdoors, but because of Americans’ strong interest in growing house plants, indoor bonsai are the inevitable next step in horticulture. We are specialists in growing trees that will do well in your home. We have developed our vast selection of tropical/indoor bonsai for over 35 years. Many of these trees will flower and fruit. They are grown for bonsai from a very young age, and some varieties will even do well in lower light conditions. We have always been successful hunting for new and exciting material in all sizes and price ranges. Whether you are looking for your first tree, a bonsai gift, or adding a specimen to your collection you will not be disappointed in our selection.